You all know by know I have been spending a lot of time at my mom and dads house. AKA my "ancestoral home". HAHA! So we have spent a lot of time talking about old recipes, going through old cookbooks and when my mom had her "lightbulb" moment about this cake, I thought she was going to drop on her bad knees, risking a visit from the ambulance to beg me to make it. I finally did! Now she REALLY owes me cookies. This cake was often made by her and/or her best friend Sharon who is our second mom. Their family has 9 kids, ours has 10. We were quite a group! I can't wait to share this delightful beauty with you. It is a cake from days gone by for my mom and siblings, but I, never have eaten it. My mom is sure I did, but never that I recall. When I brought this cake up to my some of my siblings I got responses like, "OHHHHH, I LOVED that cake" and "Mom and Sharon used to make this cake", and simple "yuuummmmmmmm"! I decided I must get the recipe and try it. News flash, NOBODY has the recipe anymore. What? How could something that is evidently so amazing, be lost?! I found the recipe on cooks.com and both "moms" agreed it was the recipe they made. Here are these 2 crazy amazing ladies at my moms 75th birthday party! 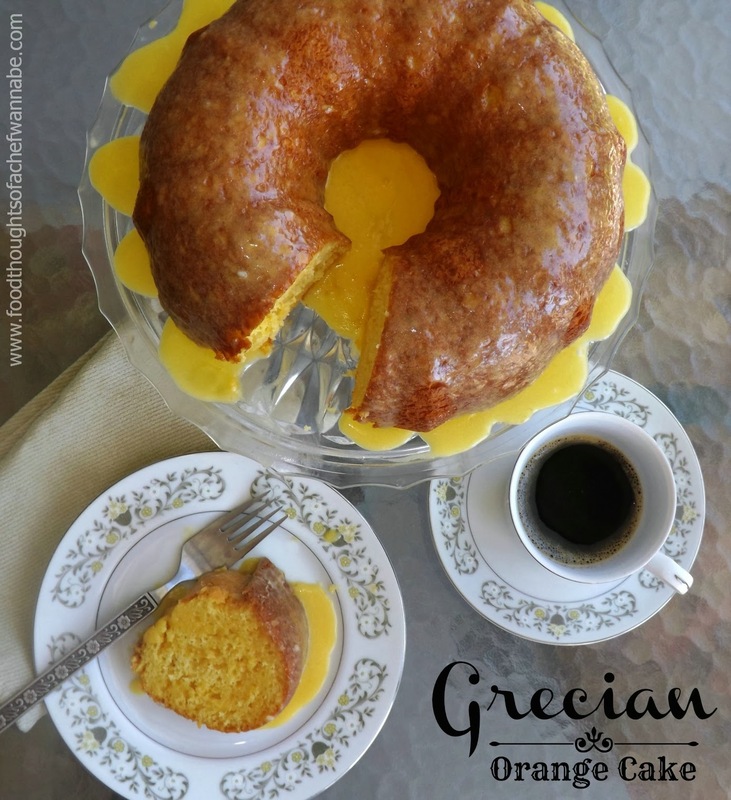 So in honor of my mom and the woman who treated us like her own I present to you, Grecian Orange Cake! I love you both! Combine all ingredients for the glaze and set aside. Preheat your oven to 325 degrees. Combine cake mix, lemon pudding, oil and water. Whisk or mix untl completely combined and smooth. Spray or grease a bundt cake pan and pur batter into it. Level your batter and bake for 45 minutes. Immediately after you remove it from the oven, leaving it in the pan, poke holes with a skewer. DO NOT poke them all the way to the bottom, maybe 3/4 of the way down. Pour half of the glaze mixture over the top. Let sit for 15 minutes. Remove onto a plate or cake stand or platter, Let sit another 5-10 minutes. Pour the rest of the glaze over the top and dig in! Hoping this recipe brings you as much happiness as it does the Smith and Novosad families! Oh wow Chris. This is soooo simple. Love it. Pinning for later. I couldn't comment on Chris Smith's blog, but I thought if you stay in touch with the Smith's you can share a little history of the "Grecian Orange Cake", which the Bartlett's call "Orange Grecian Cake"... I've been eating this cake for 50+ years (even though I'm in my 20's :-P). My paternal grandma, Marie "Mimi" Bartlett made this for us whenever we'd visit her in Arkansas. 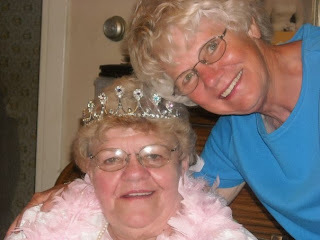 She gave the recipe to my mom, who in turn shared it with the Novosad family in Ord in the early 60's. Aunt Em (Emma Novosad) published this recipe in the Our Lady of Perpetual Help Catholic recipe book. Mom makes at least one of these cakes and schleps it to Ord with her every time she visits. She also makes it every time we come visit Colorado from California. I polished off two pieces tonight! :-) (Bud 'n me are visiting Grammy this week). It's our family favorite!! Wow Brad!! Thanks SO much for forwarding this email to me! I am so happy Sharon saw it, and that Suzi found it and emailed you! That is probably the ONE cookbook mom was "sure" it wasn't in! This is so cool! I hope you guys have a wonderful Christmas celebration and, again, I thank you!